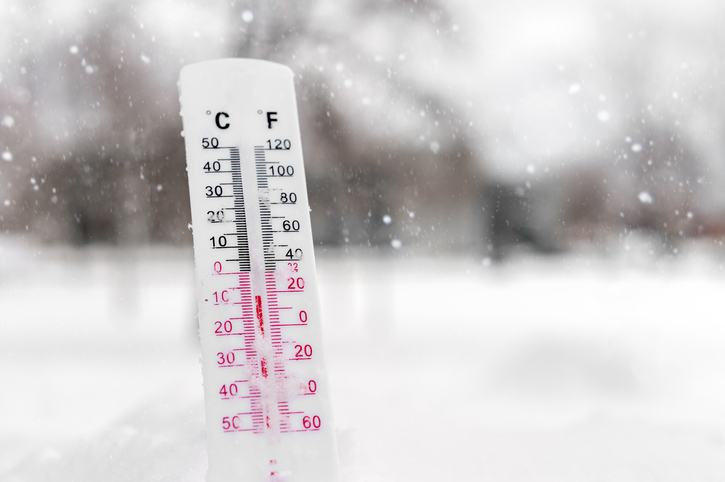 Have you ever wondered how Canada ranks in terms of the world’s coldest countries? According to Canadian Geographic, Canada actually ties Russia for the title of coldest country in the world. There is even worse news if you don’t fancy a regular menu of cold weather, because apparently Canada’s cold weather is also unusually deadly. Every winter, more than 100 Canadians die because of cold exposure. To compare: only about 17 Canadians die annually due to skiing accidents and other outdoor cold-related incidents. But of course you know what they say: if the cold outside air doesn’t kill you, the toxic indoor air surely will (well, maybe only we say that… and it is actually true!). In this article, learn six quick tips to clean up your indoor air during the cold season so you can be sure to stay healthy all winter long outdoors and indoors. Why Is Your Winter Indoor Air So Toxic? In a nutshell, winter indoor air is often even more toxic than summer indoor air because there is typically less ventilation from opening windows or doors; very low humidity, which lowers the body's ability to cope with indoor toxins; and more use of appliances that contribute their own toxic byproducts into the air. Although some or all of these toxins are always present, winter brings a combination of changes that can exacerbate the health damage they cause. The first big change is a reduction in indoor air humidity levels. With naturally drier winter air, your respiratory system and sinuses get quickly dried out, causing irritation and making it easier for cold and flu germs, allergens, and bacteria to take hold. The second big change is increased reliance on heat production, especially from wood-burning stoves and fireplaces. Heat not only further dries out your indoor air and body tissues, but it also adds more of certain toxins into your indoor air than would be present during warmer weather. Together, the additional dryness and added toxins can spell particular dangers for very young and old family members as well as for household pets—well, really, everyone. These six tips can help you make an immediate impact on the cleanliness and safety of your indoor air supply. Wood and gas release a potent cocktail of toxins into your indoor air, including formaldehyde, carbon monoxide, particulate matter (ash, dust, soot, smoke), nitrogen oxides, and similar others. By consolidating cooking and refraining from use of that oh-so-inviting winter staple, the fireplace, you can reduce the amount of wood and/or gas toxins that are present in your indoor air supply. Even under the best of circumstances, many of the solvents, adhesives, paints, thinners, cleaner, and other DIY supplies are typically packed full of potent toxins. If you do decide to while away the winter days by repainting, refinishing, or refurbishing, choose the products you use with care and be sure to ventilate well (open windows and doors, run fans) in the areas you are working in. When you burn tobacco, what really happens is a process called “combustion.” Combustion, which occurs when a heat source ignites a fuel source in the presence of oxygen, releases byproducts including gases and chemicals. You may love to smoke or use tobacco products and even find it soothing and calming (many people do). But your lungs aren’t quite so keen on it, nor are the lungs of those around you. Today, it is known that tobacco alone contains 400+ chemicals, including scary-sounding chemicals like hydrogen cyanide, formaldehyde, tar, carbon monoxide, benzene, and, of course, nicotine. So when you use tobacco indoors, everyone’s lungs will be impacted—including, of course, yours. If you do choose to smoke or use nicotine at home, for everyone’s safety as well as overall indoor air quality (not to mention for cleanliness—smoke inside gets in the draperies and carpets, and yellows blinds and walls), it is best to do so outdoors only. Sometimes, you may feel colder for reasons that have nothing to do with the actual ambient indoor air temperature at home or at work. Perhaps you were running late this morning and didn’t have time for breakfast. Maybe you are fighting off a cold and your body is burning more fuel than usual keeping your healthy. Or perhaps you just didn’t dress warmly enough for the day’s weather. By stoking your inner furnace with warm, layered outerwear and sufficient nutrition and exercise, you can reduce your reliance on powered heat sources that can toxify your indoor air. Clean Air Solutions is proud to be the sister company to award-winning Shipton’s Heating and Cooling. Together we work hard to help you enjoy maximum indoor comfort and safety. Contact us to schedule an indoor air quality test, professional dryer and duct cleanings and other indoor air quality services.